Call me a veteran of the Diet Wars — I have the “miracle” books to prove it. Actually, had is more accurate. Shortly after I joined the 10 in 4 Challenge, I donated all my diet books to the local library because I realized (finally!) that prescribed diets don’t work in the long term and they make eating healthier much more complicated than it needs to be. Welcome to the un-crazymaking marvel that is the 10 in 4 Challenge. While I didn’t lose the “10” in the title, I did lose about half that and gained a new perspective on how to eat better, with weight loss as a happy side effect. In fact, as soon as the challenge was over, we headed off on a spring break trip to Baltimore and Washington, DC, and I didn’t gain a pound. I even lost another pound once I got all the restaurant sodium out of my system. What I learned during the challenge is going to stick with me for the long term. It was cemented in my brain not only with the great resources I printed out from Dave Smith and the Fit Bottomed crew, but from the support through the Facebook group that’s an integral part of the plan. Tips, questions, faves, recipe ideas — you can bounce your thoughts off the members of the group, and also have Dave, Jenn and Kristen answer any questions you have. And you don’t get bounced out of the group when your challenge is over. You can stay and soak up the good vibes with former and current members of the challenge. Meal planning has been one of my biggest takeaways. I used to drift from one meal to the next on a whim, but often that left me staring into the pantry or fridge wondering what my next meal would be. Overwhelmed, I’d just grab a protein bar and end up hungry and dissatisfied. (And we all know where that leads …) Instead, the challenge was to plan an entire week of meals and snacks, and if something threw a monkey wrench into the plan, it’d be an easy shift. But y’know what? That monkey wrench rarely appeared. Turns out you can plan a week of healthy meals and snacks in one afternoon! And Dave provides a plethora of great “veggie-forward” recipes if you need inspiration. I like to think of myself as a super healthy eater, but during the challenge I learned that I could clean things up even more (hello, veggie snacks!) and enjoy eating more than I had before, with that weight-loss side effect. Sounds like a very good program, the main thing about diets is to be able to stick to a plan for a period of time and see results. Lack of discipline always throws a wrench into the gains. An eye opening article, we can lose weight and remain fit if we follow a disciplined and simple way of eating. Weight loss is always a concern for everyone. The article mentions a science and people should pay attention to it when planning their weight loss. Very nice! 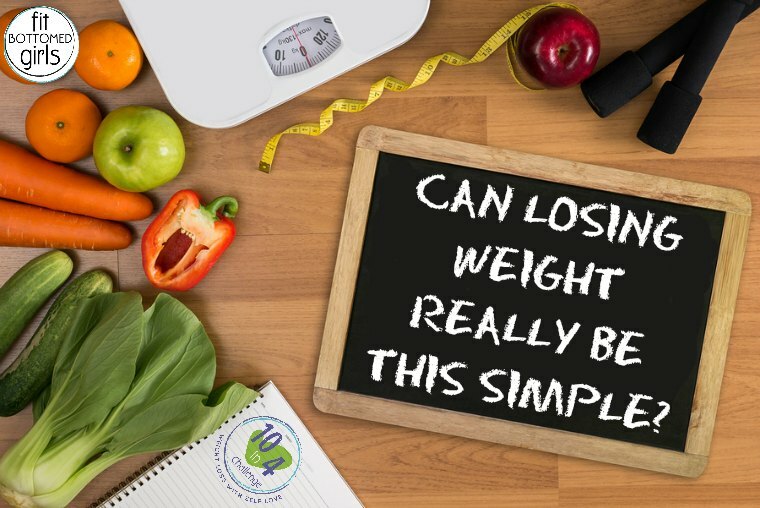 It cannot be quite simple to loose weight. While loosing weight we have keep many things in our mind such as our diet plans, how much we work out etc. and many more.